For the week ending May 6th, Baker Hughes reported rotary rig count in the U.S. declined an additional five rigs from the prior week to 415 rigs. Globally, rig count fell by 45 week over week, In April, Saudi Arabia's land and offshore rig count declined by four to 123 rigs; however, this level is still higher than the 119 rigs reported in January of 2015. 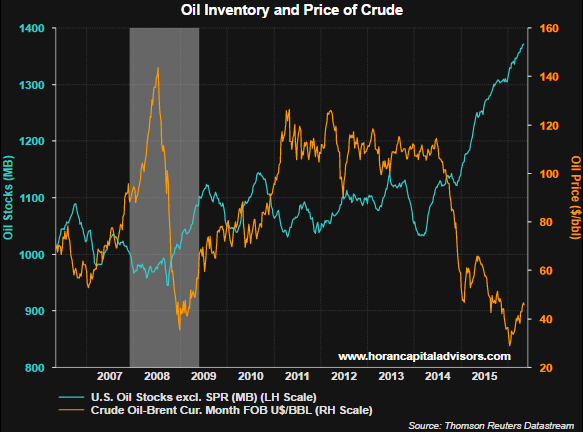 So, although rig count continues to fall to record low levels, supply has not been impacted. 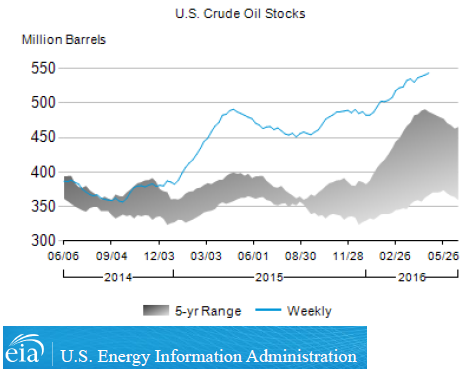 Historically, falling oil supply has been realized quickly at the onset of a cut in rigs. As the above charts shows though, this has not been the case in this cycle. 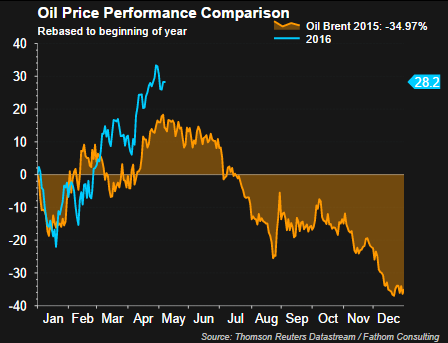 The below chart is more coincidence than anything; however, it is interesting to see the return in oil prices this year compared to 2015. Might lower prices be in store through the balance of this year? 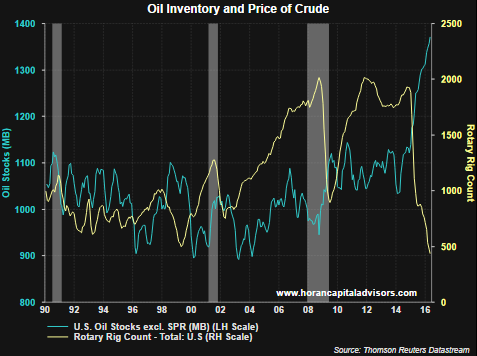 Even if supply begins to decline, inventory is far above historical ranges and some time will be needed to work off this excess. 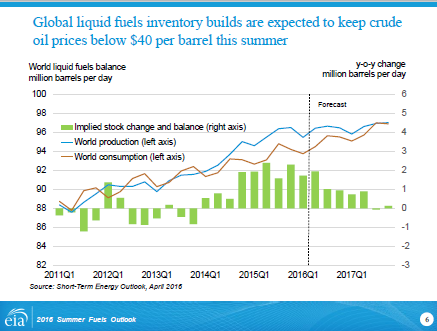 Near term, especially in light of the weak global economic growth environment, lower oil prices seem a high probability as we move into the summer season.